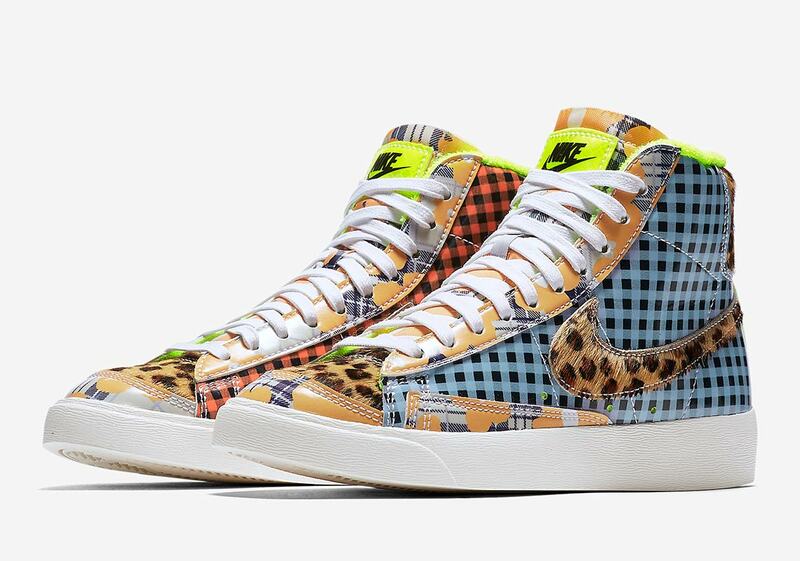 Nike is going wild with these blazers. Thanks to Virgil Abloh and his "The Ten" collection with Nike, the Nike Blazer Mid has seen a bit of a resurgence as of late. Classic colorways of the blazer have started to make their way back to the market and fans of the shoe couldn't be more excited. It seems as though 2019 is going to be a big year for the shoe and Nike is making sure of that with some new colorways. 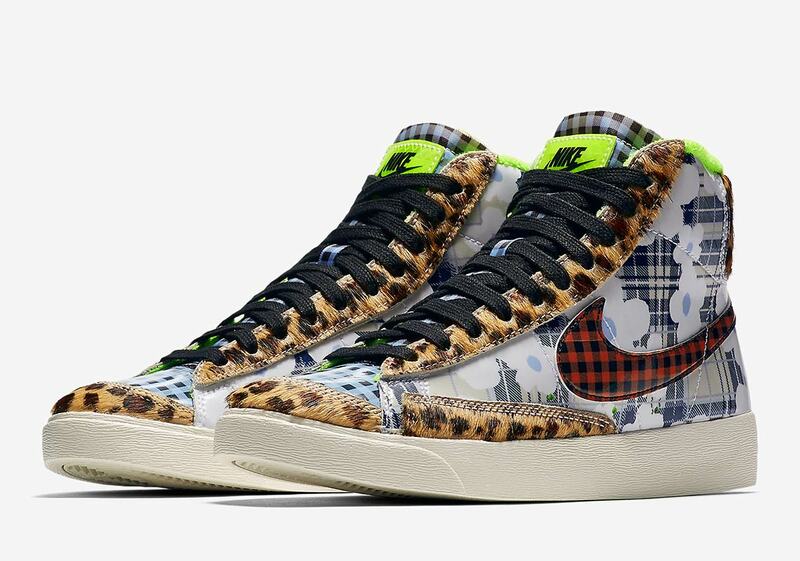 The Beaverton brand has now shown off two new print-heavy versions of the Nike Blazer Mid that will not only turn heads, but will also have sneakerheads taking a moment of pause to evaluate whether or not these are actually fire. As you can tell from the two pictures below, these kicks have horse hair with cheetah prints, as well as some flannel checkered patterns and even a flowery pattern on the other shoe. There is a mixture of colors at play here and even a neon green Nike logo on the tongue. If you walk down the street in these you'll be sure to turn a few heads. These have no official release date or price yet, according to Sneaker News, but expect them to drop on Nike.com sometime in the near future.